My understanding is that appointment on these committees is by the Archbishop. I believe that being so he has the right (unless otherwise specified in some ACC or other document) to remove a person from such a committee. We were discussing the Archbishop of Canterbury’s recent Pentecost letter in which Rowan Williams “proposed” that members of churches that “have formally, through their Synod or House of Bishops, adopted policies that breach any of the moratoria requested by the Instruments of Communion and recently reaffirmed by the Standing Committee and the Inter-Anglican Standing Commission on Unity, Faith and Order” should not participate in ecumenical discussions on behalf of the Communion and should be reduced to consultant status on the IASCUFO. “Particular provinces will be contacted about the outworking of this in the near future,” he said. The Revd Canon Kenneth Kearon. Clearly, the archbishop’s “proposal” was rather more than a proposal. And, as we have seen in the past, there are threats to other churches, but The Episcopal Church has again been singled out as the designated Anglican scapegoat. Just who does Archbishop of Canterbury Rowan Williams think he is? In his letter, he lamented that other Anglican bodies are constrained by “constitutional provisions which cannot be overturned by any one person’s decision alone.” He therefore seems to think that this gives him the duty to play Anglican Pope. It does not, and I hope that Presiding Bishop Katharine Jefferts Schori promptly will tell him that he has overstepped his meager authority and placed himself in the same category as King George III. Archbishop Williams has consistently advanced his quest for power through the establishment of and appointments to Anglican bodies. (I cringe every time I learn that Williams has established another Windsor This or Windsor That.) That the Most Rev. 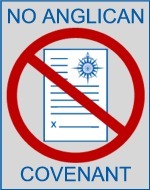 Drexel Gomez was appointed to head the Covenant Design Group should have been clear evidence that any proposed covenant would be an instrument to punish The Episcopal Church. The deck, as they say, was stacked against us. Why should The Episcopal Church even consider adopting the Anglican covenant, which would give additional powers to an Archbishop and to a Communion that is already acting in a tyrannical manner? We should, in fact, rein in the Archbishop of Canterbury by declaring that he cannot create bodies for the Anglican Communion on his own authority. Moreover, should the primates or Anglican Consultative Council create a body for their own purposes, we should insist that they, as a body, not the Archbishop of Canterbury as an individual, should appoint members of that body. 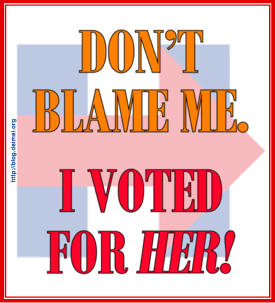 Once appointed, no one should be removed except for cause. The Episcopal Church needs to make it crystal clear that it will not continue to endure abuse at the hands of the Archbishop of Canterbury or the Anglican Communion. The Anglican Communion tyranny should be stopped now. I agree with you whole heartedly, Lionel, but all I can say is "good luck" re: having the Presiding Bishop of TEC do anything. While I expect that TEC will accept the Archbishop's actions in silence and the Duncan crowd will treat the action as a major rebuke, I nonetheless cannot help but believe that power politics should be met with power politics. TEC should cut its financial contributions to the Communion and Canterbury in equal proportion to the extent to which participation is denied, and issue a statement condemning the failure of Canterbury to take action against other national churches which continue to engage in discrimination.